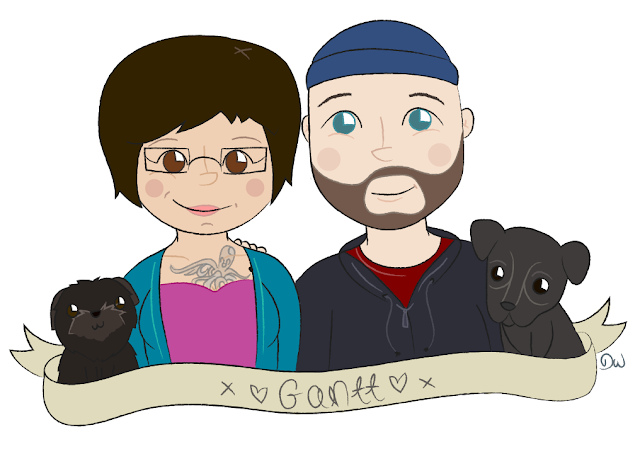 After seeing The Quiet Owl's awesome family portrait I couldn't help but contact Daisy of Bouxwho To do a portrait of our little family. She has really reasonable prices and her art is lovely. I totally recommend working with her for your own portrait! Isn't this so cute? I can't wait to print it out and frame it! You have an octopus tattoo on your chest? Joe has one on his arm! Thanks everyone, I love it!